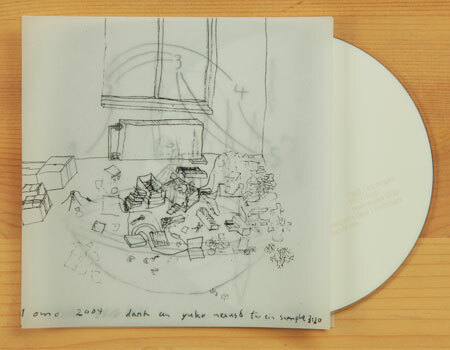 In 2004 Olaf was thrown out of his music university in Essen, Germany: The views of his teachers were just too different from Olaf´s ideas of electro acoustic music. On the same day he met a member of the naivsuper collective, who decided that his music had to be published. Well, it took 3 years to compile this short CDR but it was definitely worth waiting for. "Pets are just 5 pieces of a CD or the attempt to describe a sound-based form of life. Stuck inside a niche between nature and culture, acoustic inhabitants of ´nature-culture-land´, hairy little things made out of dust who wander around without reason and suddenly drop dead completely unexpected. They have to be pushed but sometimes move by themselves, they can speak sometimes fast and sometimes rather slow and then again cuddle up in silence pretending not to be here. They could also be sound creatures from the world of Microrobotics who speak to us without communicating, glitching transistor noises in between loudspeakers - no more - no less. The sounds come to life with the help of selfwritten programs which technically analyse very basic material just like voices or eating noises. But not what the computer hears is interesting - it is the structure that he reads and filters out. There is movement between the basic material and his representation by the computer - sounds in motion. A broken relation between the computer and the sound material develops. It becomes vital that from this method of sound production, sounds and sequences originate which have their own rules. Nach nun dreijähriger Produktionszeit ist das Kleinod endlich da! Anders formuliert ist pets eine Antwort auf die Frage, was die Dinge und Gegenstände unseres Lebensraums, nach der Emanzipation von ihrer Funktionalität für Geräusche und Klänge von sich geben würden. Attention is the name of the game with "Pets". Perhaps the focus is on silence, or quiet pockets of movement within silence. The five tracks here are minimal, often to the extreme. What sounds emerge are glimpses, like water dripping or paper crinkling. (often they also sound like the bodily noises made by jock-turned giant frog Chet in the cult classic "Weird Science," but I digress.) Occasionally there is a louder pulse, and voice, as in the opener, "Omo," and on the final track, "Celine," features a female voice seeming to struggle to read an article in French about that author. The struggle to vocalize may also prove to be entry into these five tracks.